Times have certainly changed. When I began my career in the hospitality industry, food allergies were not even a blip on the culinary radar. The kitchen was, for a Chef, a playground with no rules. But all of that has changed. These days, I make a point of asking each person making a reservation at the lodge if anyone in the family has any food allergies or food restrictions that we should be made aware of before their arrival. The answers always weigh more heavily on the ‘yes’ than the ‘no’. And although some of the guidelines we are made to adhere to are more preference than necessity, the kitchen now has to deal with a list of these instructions for each week of our summer season. Now, while I completely comprehend the severity of an ingested or inhaled allergic reaction to a food, it does not negate the fact that I am more than moderately amused by the inability of our Sous Chef to pronounce one of the more prevalent choices in the current realm of dietary options. A Pescatarian is a person who does not eat meat but will eat fish. And each time I have the opportunity to add that choice to our “allergy” list for the week, my smile cannot be missed. As I walk into the kitchen with that list, I calmly await the moment that she will read the list aloud and say the word “Pescabyterian”. According to Karina, somewhere there is a church for vegetarians who occasionally eat fish. And that latest hotel guest, that new addition to our list of dietary anomalies, is a member of its congregation. Each time she reads the list aloud, the words Pescatarian and Presbyterian become intertwined and I am reduced to a public school version of myself, unintentionally (not really) laughing at the combination of the two expressions. 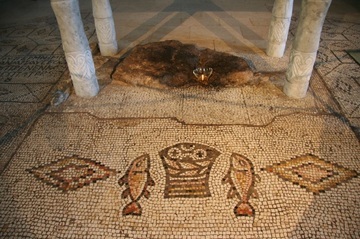 Pescabyterian – a member of the religion of vegetarians who consciously choose to eat fish. It may be juvenile, but this marriage of words helps alleviate some of the stress in our summer. It gives us the freedom to laugh at the increased amount of tension in an already volatile environment. And it allows a break for laughter in a scene that is meant more for drama, creating an oasis of calm in a sea of chaos. One simple word, whether Webster chooses to recognize it or not, has the power to change the trajectory of our day. Let’s hear it for the Pescabyterians! Aren’t food allergies really just nature’s way of thinning the herd?